Solid pine construction with mortise and tenon joinery make this stylish rustic TV stand durable and sturdy. 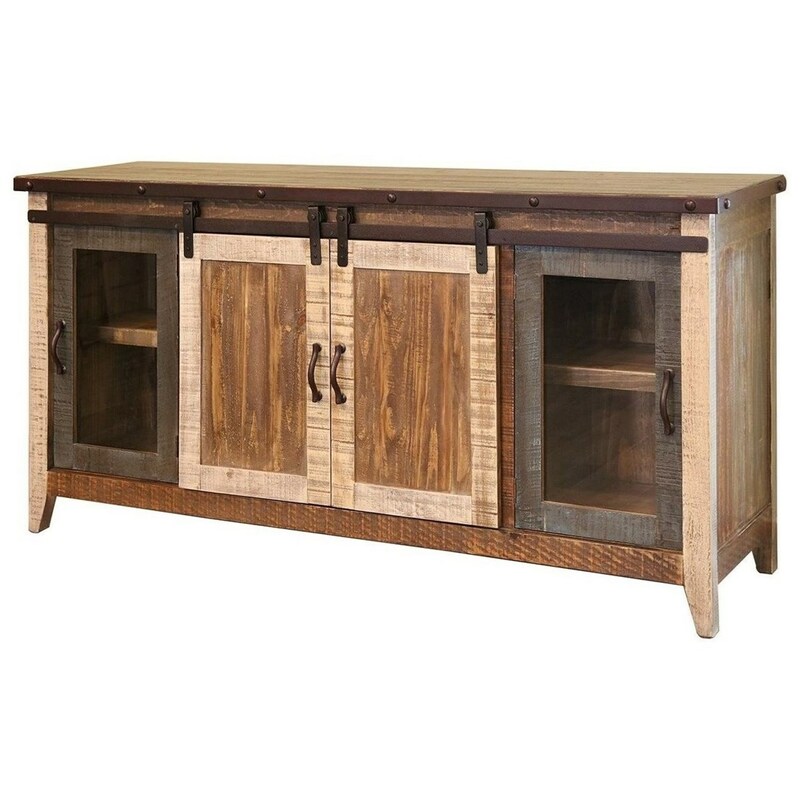 With two sliding doors and two mesh drawers this piece will give your living room or den plenty of storage for all of your media accessories. 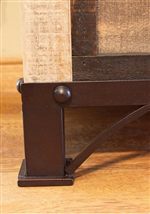 Adorned with mesh inserts and hand forged iron pulls, the hardware accents the hand distressed and wire brushed, multi-tonal finish of the wood. The 900 Antique Rustic 70" TV Stand with Sliding Doors by International Furniture Direct at Zak's Home in the Tri-Cities, Johnson City, Tennessee area. Product availability may vary. Contact us for the most current availability on this product. 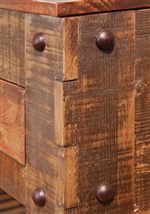 The 900 Antique collection is a great option if you are looking for Rustic Casual furniture in the Tri-Cities, Johnson City, Tennessee area. 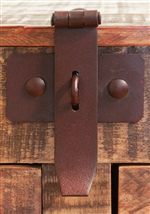 Browse other items in the 900 Antique collection from Zak's Home in the Tri-Cities, Johnson City, Tennessee area.